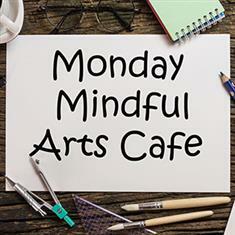 Come and take part in a regular arts class in the cafe foyer with Art Stop. There will be amazing easy to follow and therapeutic art activities allowing you to spend an hour immersed in your thoughts and the process of making in a relaxed and non-threatening environment. All materials will be provided, different themes every week! Limited tickets, online booking recommended.